I picked flavors I knew my husband would like because I will eat almost anything, even if it’s kind of gross, if it’s healthy. So he is a better candidate to review than I am 🙂 and I really like to see what healthy things I can get him to eat. 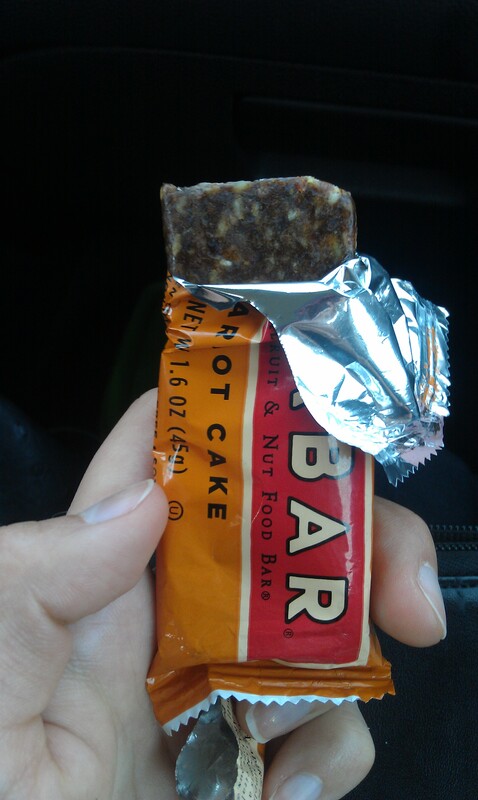 *I really liked it, it was nice and filling and I really liked and was surprised by the pineapple flavor. I also like how simple the ingredients are no weird ingredients, fillers or preservatives. They survived a good amount of banging around in my bag I carried it with me several days before I was hungry enough to eat it which is definitely a good thing I don’t want to have to be forced to eat my emergency calorie dense snack stash just to keep it from crumbling to a mess in my purse. *My husband said he would eat it again. That’s pretty good considering that he hates nuts. He said he liked it because it was heavy even though it was small and he liked that it was squishy and gooeyish so it was fun to eat. 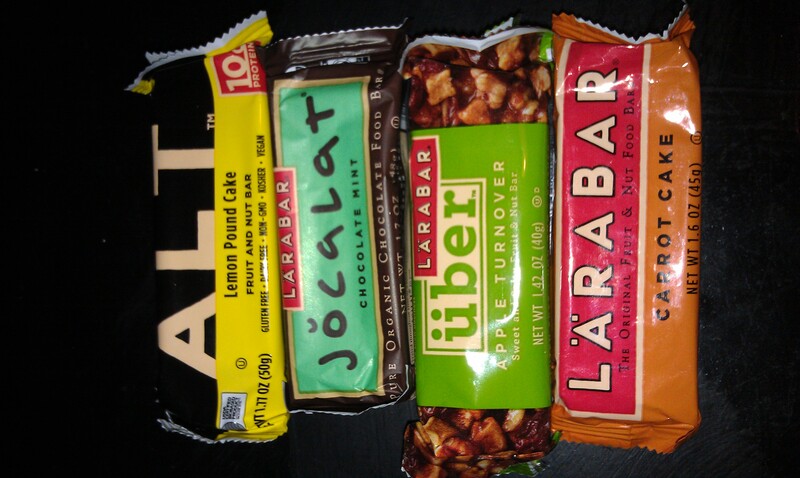 He would have prefered that the nut chunks were smaller but he liked it…win for larabar getting something healthy into my husbands belly. You can buy them in bulk from amazon for about $1.25 a piece which isn’t too bad for a healhty on the go snack. From the Larabar website itself you can get a variety pack so you can figure out which flavor you like before you commit to 16 of the same bar. I will be reviewing the remaining bars in the next few weeks but until then find out more about them for yourself maybe you will find a spot for them in your tummy to 🙂 num num. I received this sample of Larabar from the company for free but the good review is just because I found it to be yummy I’ll let you know what me and my husband thought of the other ones and he can be a pretty harsh critic of food so I’m excited to see what he thinks.